After Sridevi's untimely death, Madhuri Dixit Nene had to step into the shoes of the Hawa Hawai actress in Abhishek Varman's directorial Kalank. 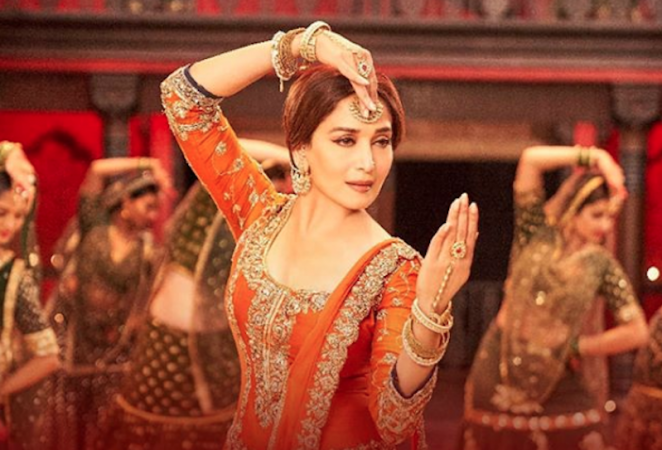 After Sridevi's untimely death, Madhuri Dixit Nene had to step into the shoes of the Hawa Hawai actress in Abhishek Varman's directorial Kalank. Janhvi Kapoor too had proudly announced the development and thanked Madhuri for being a part of the film. And now Madhuri has spoken about replacing Sridevi as Bahaar Begum and how emotional it was for her to step in. "It was a very emotional reaction because we all were affected [by Sridevi's death]. It happened so suddenly. It was unbelievable. We still can't believe it. It was very emotional. She has kids, I have kids. She has such young kids, so one felt very very bad. But someone had to step in," Madhuri told Bollywood Hungama. Producer Karan Johar had planned Kalank (earlier known as Shiddat) with Sridevi, but his dreams were shattered by the actress' sudden demise. It would have been Sridevi's first film with Dharma Productions since Gumrah (1993), which also starred Sanjay Dutt. But after Sridevi's death, the makers of Kalank approached Madhuri to play the role which was initially meant for Sridevi. Alia and Varun have reunite for Kalank after Humpty Sharma Ki Dulhania and Badrinath Ki Dulhania. Both films were directed by Abhishek Varman. The movie also brings the jodi of rumoured lovers Madhuri and Sanjay Dutt on the celluloid after more than two decades. Talking about Sanjay Dutt's presence in Kalank, the actor had discussed the film with Yash Johar long ago and was on board since the beginning. It was only now that the dream of the late filmmaker turned into a reality as the film releases next week on April 17. In the film, Varun plays the character of Zafar, a man who "flirts with life and danger". Aditya Roy Kapur plays the role of Dev Chaudhry, a man with "virtuous heart and an uncorrupted mind". Sanjay Dutt plays the character of Balraj Chaudhry who is described as "the most powerful voice of the table, the formidable one". Alia Bhatt plays the role of Roop and her character has been described as "to love her is to love fire". Sonakshi Sinha plays the role of Satya who is described as "pure, elegant and filled with love". Madhuri Dixit Nene will be seen playing the character of Bahaar, "the true Begum". Her character is further described as "enchanting, ethereal and timeless".